The number of users logged in at once has skyrocketed, giving the servers a real workout. The free-to-play model is a popular one for new games, or for existing games that are struggling a bit to find or retain an audience. Making a game free is a pretty big deal, and will definitely net an influx of players. 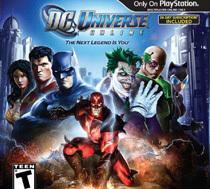 In fact, 48 hours after going free, 'DC Universe Online' had over 120,000 new players. If you want to get your hands on the game, you can download it through Steam, directly from the 'DC Universe Online' website or, for PlayStation 3 owners, from PSN. The game itself is free to download and free to play, but those inclined can pay more for special privileges in the world, like creating a guild or having more bank slots. You'll need to exercise a bit of patience when first jumping on to the game though. With all these new players, the servers are being hammered and are having a bit of trouble keeping up.